Wow! Five AMERICAN BITTERNS at the Liberty Loop! What started out as an uneventful evening ended up being an incredible birding experience. I met Maria Loukeris out at the Liberty Loop; we walked out Liberty Lane – highlights included some distant unidentified shorebirds, several White-crowned Sparrows and my FOY Swamp Sparrows. As we were walking back to the cars, I turned to Maria and said “Let’s go look for some American Bitterns”. I was only half joking, and I had no idea what was in store for us. As we reached the parking area, Maria picked up two birds flying across the marsh and exclaimed “bittern!”. I got on them immediately and was thrilled to see two AMERICAN BITTERNS fly from the front pond and head southwest towards the back of the marsh. We went to the viewing platform; we were pretty sure that we wouldn’t see them again, but had to try. But, then we heard another AMBI calling from just to our left. We scanned and remarkably, Maria located the bird right away. As I ran to get my scope from the car, a different AMBI took flight and flew north over Oil City Road. 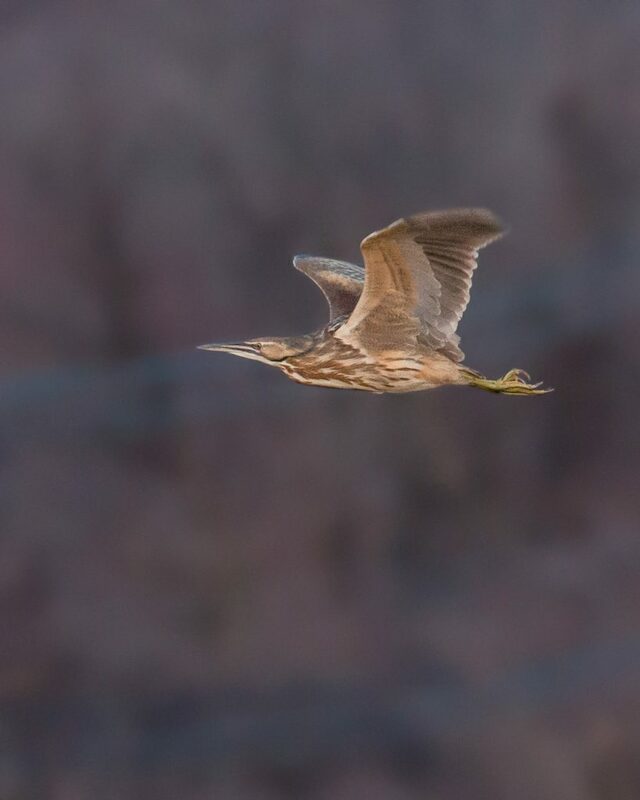 Shortly after that, yet another bittern joined the one that was calling – that gave us a total of five American Bitterns! I put the word out, and Linda Scrima made record time to arrive to see a pair of them in the scope before we lost the light. What a night! I’m still freaking out! What an amazing experience…and you got a fantastic photo of one of these amazing birds! Wondrful!